Today's So Shoe Me is the Friendship Bracelet Sandals by Ecote, $39, available at Urban Outfitters. 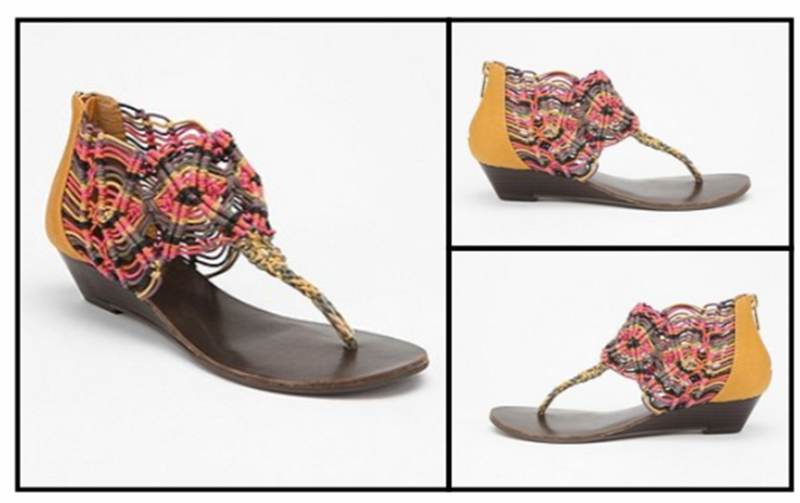 This colorful and comfortable flat sandal has an intricate design that creates a cool boho style perfect for easy summer style. With a sturdy zip-up back these sandals will be sure to stay in place even on your busiest days. Wear these as an elevated alternative to over used flip flops. 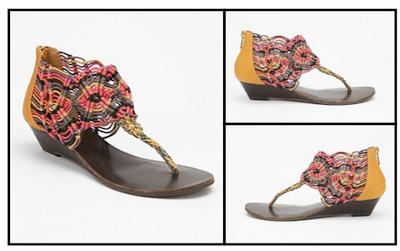 Pair these sandals with a printed tank (modern neutral tie dye or a busy ethnic print) and a pair of light wash cut offs for an easy boho summer look. So Shoe Me a pair of friendship bracelet sandals that my shoes and feet will be BFF's forever!